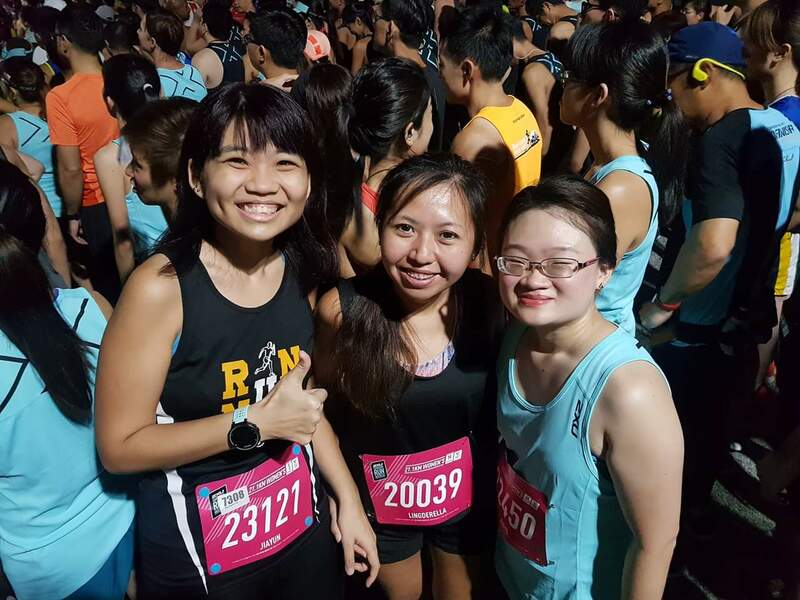 My 2XU Compression Run 2019 [HM] (by Lingderella) | JustRunLah! On race day, Eleanor and I Grab to race site together as Khatib does not have shuttle bus. I’m lazy to walk at least 20 minutes to Yishun station to take the shuttle bus and also the shuttle bus tickets isn’t cheap either. Grab isn’t expensive. Though the Grab uncle was rather frustrated with the road blocks as he kept grumbling about it 😂 Though I’d no issues when I took other Grab to the same location, just that it’s a different route the driver used didn’t tio any road blocks before. 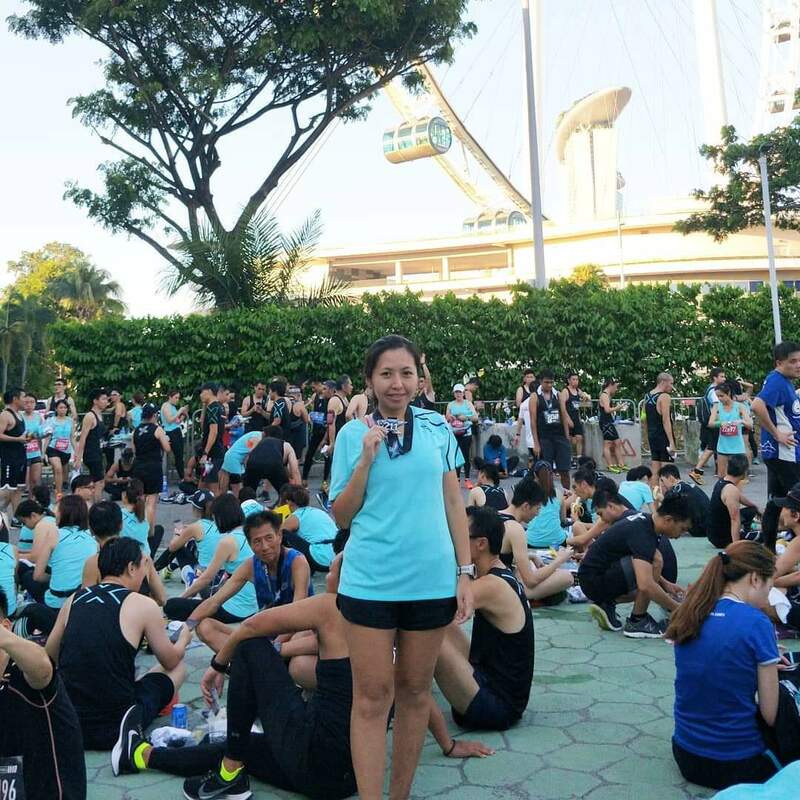 I remembered the recent overseas races that I went to such as Tokyo Marathon and Amazing Thailand Marathon both have the race route on Google Maps since the previous day of the race so hopefully races in Singapore could do something like this to let drivers aware of the route and road blocks. There’s 3 different distance categories, 5km, 10km and 21.1km. I participated in the 21.1km. Flag off was at F1 pit building at 4.30am in the morning. 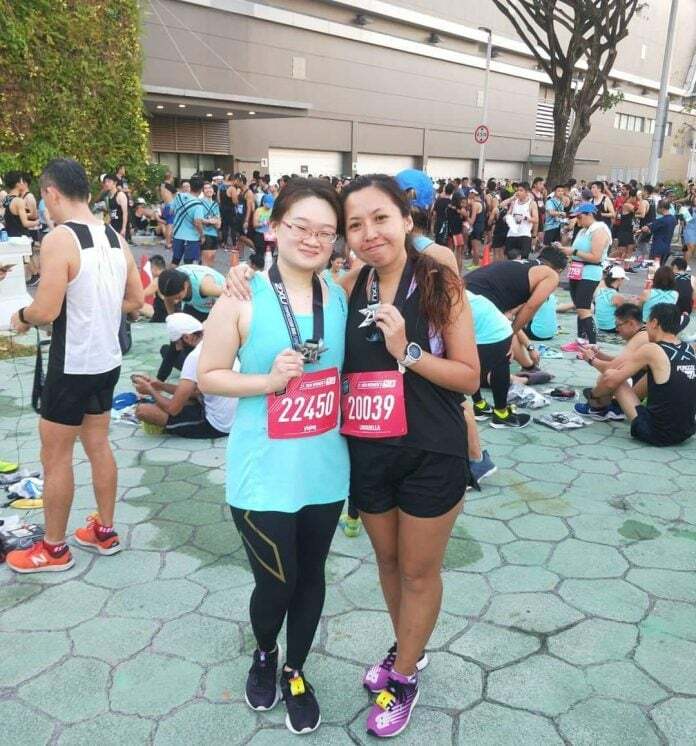 I had super enough sleep and rest as my entire Saturday’s time table after waking up in the morning was to eat, nua on bed watch drama and fall asleep and repeat the process 😆 Though I did get out of bed in the evening after dinner to do a 4km guilt run because of the laziness the entire day. Met YiQing at the race site and the three of us quickly proceed to the start pen and we were lucky to be in the first wave to flag off at 4.30am. There’s 6 different waves and each interval for the next wave is 10 minutes to ease congestion or bottlenecks it’s like so many thousands of runners running! And the last wave flags off at 5.20am, I would have free tanning as well by the time I finish the run if I was in the last few waves 😂 Hopefully everyone finished within the 4hours cut off since its not clear that the cut off is based on last wave timing or since the first wave runners. Shortly into the run, we ran pass a very short tunnel but it’s almost like pitch dark, or was it because of aging and my poor eyesight? 😂 Sibeh accident prone sia. A little after 10km, it’s also lightless when we need to run on a stretch of grass patches, also Sibeh accident prone. I was afraid I would fall and concentrate hard on the ground and in the mean time hoping it didn’t rain the past few days as my shoes are still quite new 😆 Should consider placing some lights around or carpeted/wooden flooring for the safety of runners. Thank you volunteers! 😍 Especially the volunteers at somewhere near the Merlion where there’s a couple of steps. The volunteers there was like repeating loudly “Steps Steps Steps Steps Steps” continuously in a rate like 10 times per 10 seconds 😆 Maybe someone fell or had a near fall there as they kept cautioning the runners. Then I remembered it’s the most accident prone area in races and I’m glad I didn’t listen to music and was alerted of the steps. Completed the run with a discrepancy of distance. I only had 20.61km on my sports watch.